Urban Farm Stands | Promoting Farm Stands in every neighborhood! It’s time to get back to our gardens. 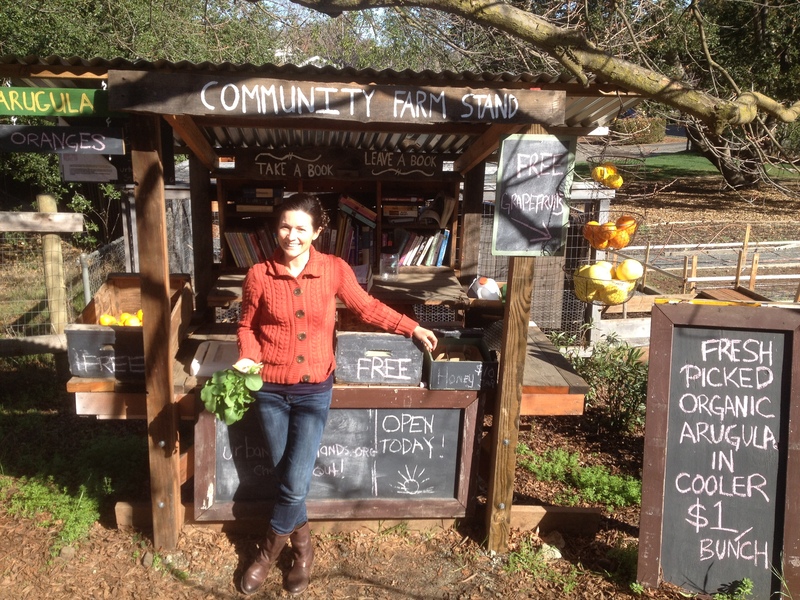 The community farm stand in our urban, suburban or rural communities is a great way to harvest and share the bounty of our gardens and yards and help re-connect with our home grown food heritage while creating community. I was recently inspired about this idea of farm stands while visiting Saltspring Island in Vancouver BC, Canada this summer. The island was covered with farm stands. I know from personal experience that when produce from my garden or orchard is ready for harvesting, there is often more than I can consume with just my family. Having a community farm stand to share or sell the bounty of that harvest is a great way to get local, fresh, mostly organic (pesticide free) produce, eggs, honey etc from your neighbors to your table. The average food item we consume today travels over 1300 miles on average before it ends up at our table so having a way to share or sell locally produce foods to the community is valuable asset. 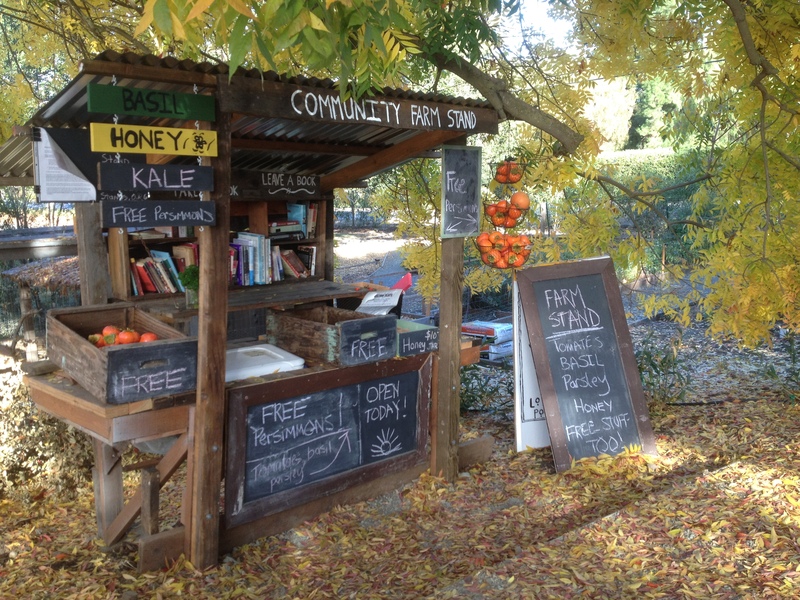 A community farm stand allows multiple families to sell at a single stand to make the stand viable with sufficient contributors and purchasers. The current food industry is mostly designed for just the opposite approach. Produce is specially bred for extended long periods for packing and distribution in exchange for quality and freshness. If you have a urban farm stand you would like listed, please contact us and we will list it on the website with it’s own website page. Hopefully this website will serve as a point of inspiration to create (urban, suburban and rural) farm stands all over the country and the world. If you run into zoning and city/county/state ordinances, please post information about your challenges and successes on the website. Some jars of honey that were for sale were walking away during the fall of 2017 so I’ve installed a lockable cabinet where certainly items can be purchased by obtaining the combination lock to the cabinet. To access the items in the cabinet, please TXT me at (650) 793-0475 with the text HONEY and I will send back the code allowing you to always access the cabinet items.